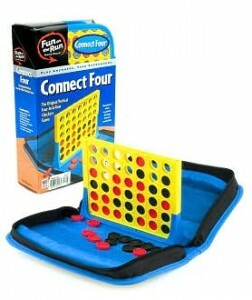 A Day Late and A Dollar Short: Connect Four, Monopoly - Travel Sizes - Almost **FREE** at Walmart & Target This Week! Connect Four, Monopoly - Travel Sizes - Almost **FREE** at Walmart & Target This Week! Here is a great scenario to get a travel version of either Monopoly or Connect Four for "almost-**FREE**" at both Walmart and Target right now. If I were you, I'd get these and save them as stocking stuffers later in the year!